Water, the sustainer and the destroyer of life, has the magical power to bring out the child inside everyone. However, when you live in an urban jungle, such as Chandigarh, you don’t have many natural options to splash around in the water. That’s precisely where waterparks come to your rescue – these manmade wonders are where you can have heavy-duty aquatic fun to your heart’s content. Instead of lazing around in the gardens when in the city, you can choose to have some fun and frolic in a waterpark in Chandigarh. Waterparks can certainly be a great way to detox, relax, and indulge in some adventurous activities with your loved ones during the weekends before you get back to your busy, boring routines. They are also a great option for those who are not very keen about trekking and camping and wish to have fun within Chandigarh, instead of wandering to faraway places. Come on, it’s time to bring out the child in you! The waterparks in Chandigarh offer everything – exciting rides and slides, excellent food, safe lockers, and even swimming costumes for hire. So, you do not have to worry about carrying huge bags full of packed food and extra clothes. Here’s to you our list of top three amazing waterparks in the city that will surely convince you to leave your comfy hotel rooms and spend more time outdoors. Do you wish to step into a massive waterpark for the mere thrill of plunging into gigantic pools of water or riding on all those mind-numbing rides? Buy your tickets to Fun City’s Wunder Water, undoubtedly one of the largest waterparks in the region! There is also an amusement park for the fun-seekers who wish to check out the land rides. For those who want to extend their stay or relax in a comfortable room, gorging on some delicious food, the park premises also contain a resort with all modern amenities. The plethora of water rides and slides for children and adults available here can surely entice you to try each and every one, till you drop. 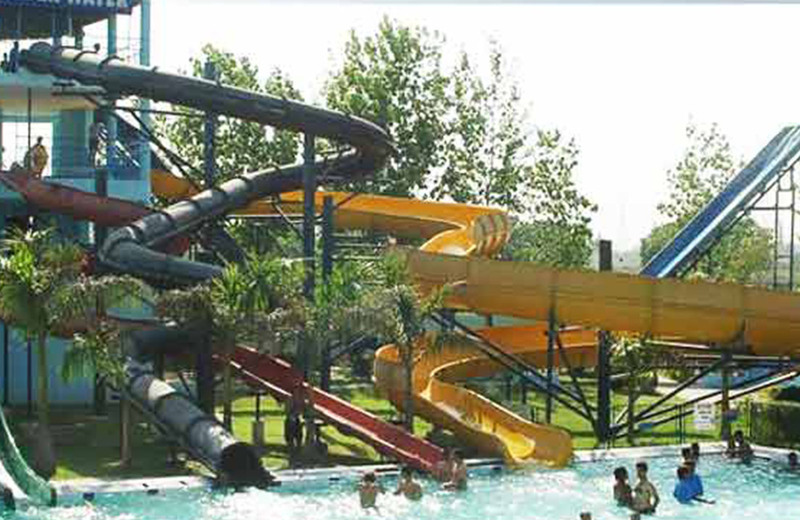 No wonder, Fun City is touted to be one of the best waterparks in Chandigarh. There are about six landing pools, one wave pool, and one activity pool – in short, there are enough options available for all. The water slides and rides available are of various sizes and also include a small one, built exclusively for young children who love to slide into the pool with a splash! Some of the best rides to try here include Octopus, Funny Boats, Crazy Cars, Crazy Bull, and all hydraulic rides. The brand new Crusader, a recent addition, can literally give goosebumps even to the brave hearts! Beautiful flora and fauna found here add to the aesthetic appeal. Whether you plan to go with your friends or family, you will never get tired of all these options and are sure to experience a massive adrenaline rush while riding each one of them. No fee for children below three feet and adults aged 65 and above. Another much sought-after waterpark in this city is Thunder Zone, the fun-filled rides of which allure people who are on the lookout for an exciting weekend to chill out and detox. There are around 12 exclusive water rides such as the Swinging Chair, Octopus, Caterpillar and many others built on the sprawling green lawns of this park. No true adventure seeker can keep away from trying out each of these rides and slides, that too multiple times! Toy train ride and boating clubs are also available for all those who wish to take a tour of this huge water plus amusement park. The food court inside the park serves lip-smacking dishes, thereby relieving you of the effort of packing food and drinks. Well, aren’t you sorted for the weekend then? This newly built waterpark in Chandigarh has the most modern and top-notch rides and amenities for people who love to try even the scariest of rides. Of the total five pools in the park, two are concentric pools, a new concept to attract the crowd; there is also a family pool, a kids’ pool, and a wave pool to cater to people of all ages. The endless rides in Aqua Village keep the kids captivated all day long and you will have a tough time getting them out of these rides, let alone the park. 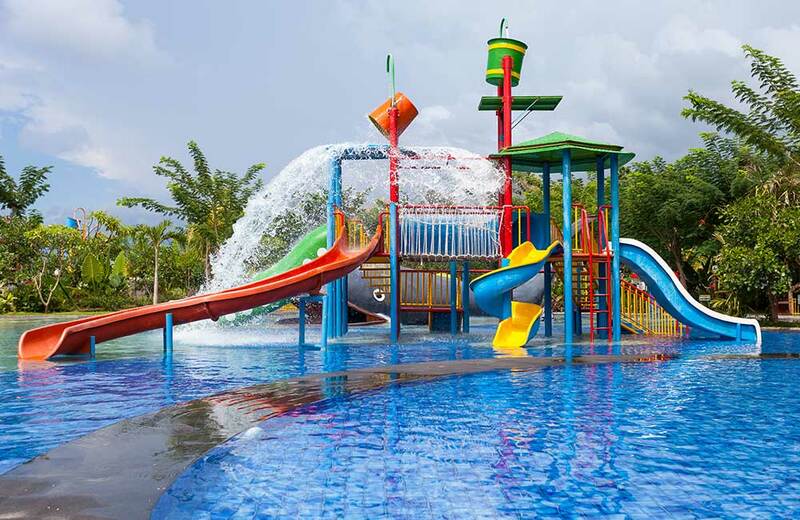 This is one of the cleanest waterparks in the city of Chandigarh as it is equipped with the best technology that includes automatic water filters and UV protection to keep the waters germ-free. Whether you are a group of bachelors with an impromptu plan to try out some adventurous rides or a family on the lookout for some fun activities for your bored, grumpy kids, Aqua Village is the one-stop destination. When you have so many ways to spend your weekend, why should you be a couch potato, binge-watching movies and flipping mindlessly through channels? Get out of your hotel in Chandigarh and add a dose of fun and adventure to your lives by visiting these waterparks when you are in the city. The thrill and adrenaline rush you experience on the myriad rides in these parks are unparalleled. Don’t forget to make your experience more memorable by having a sumptuous lunch/ dinner served fresh and hot in the various stalls dotting the food courts. So, let the fun begin. Get, set, slide!! 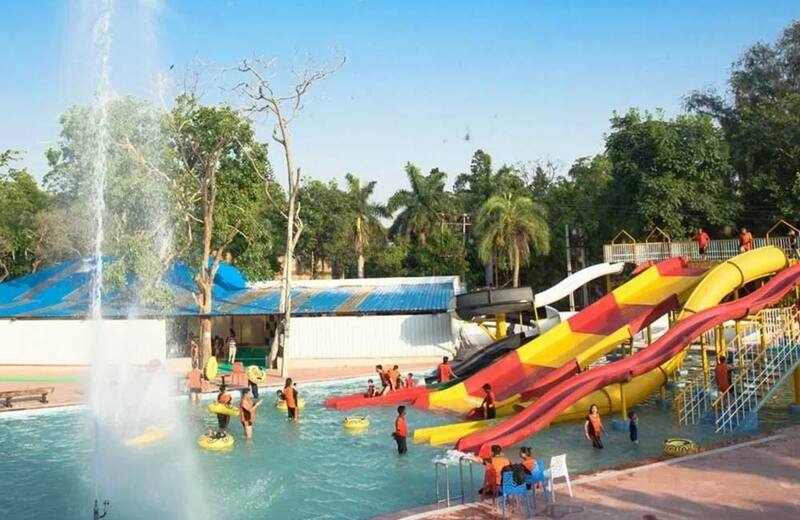 I have visited 2 water parks in Chandigarh, one is fun city and another is Aqua village, both water parks are amazing to have fun with friends and family, when you are really looking to chill out with friends at low price and want to enjoy unlimited rides then i must say Aqua village water park is best place to visit. I went there with my friends last year, it was great experience with unlimited rides at lowest price and it is very near from Chandigarh easily approachable and we had a lot of fun at Pinjore gardens as well that is besides the Aqua village park. you must visit this place in Pinjore.